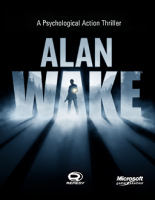 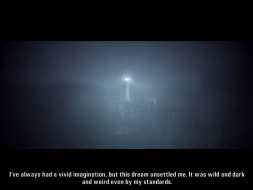 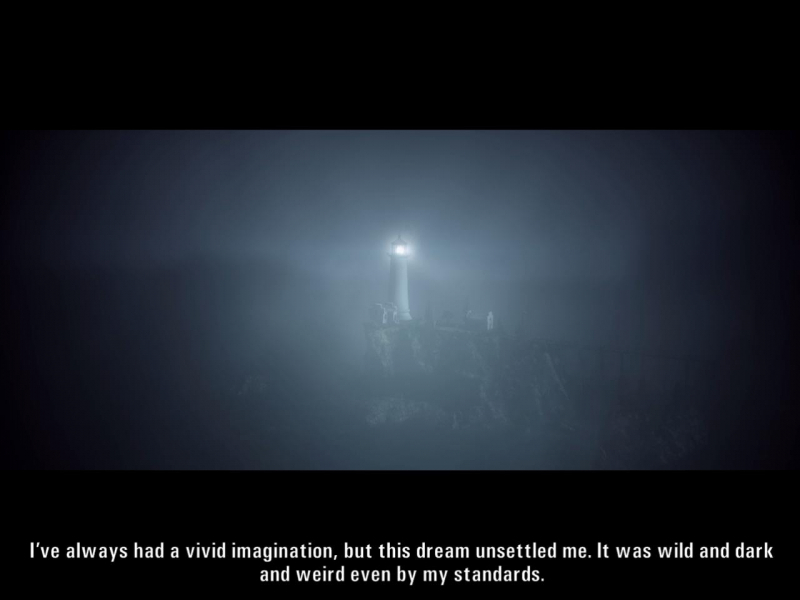 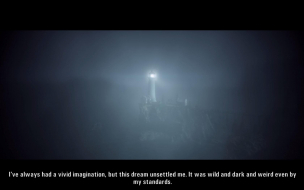 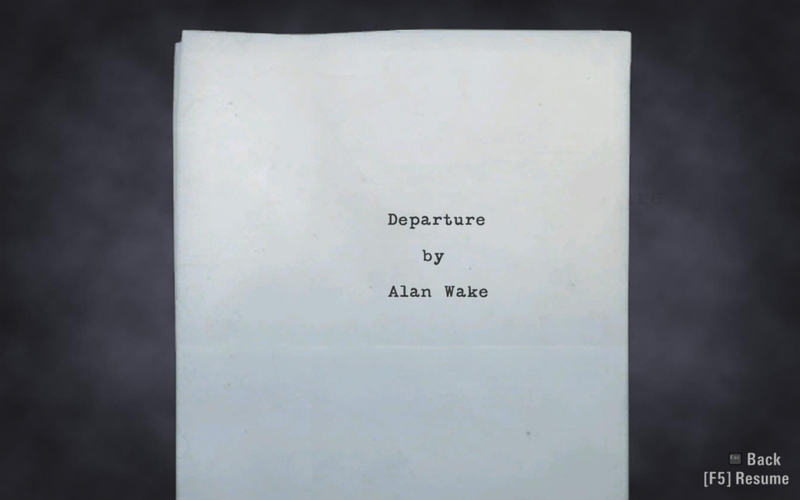 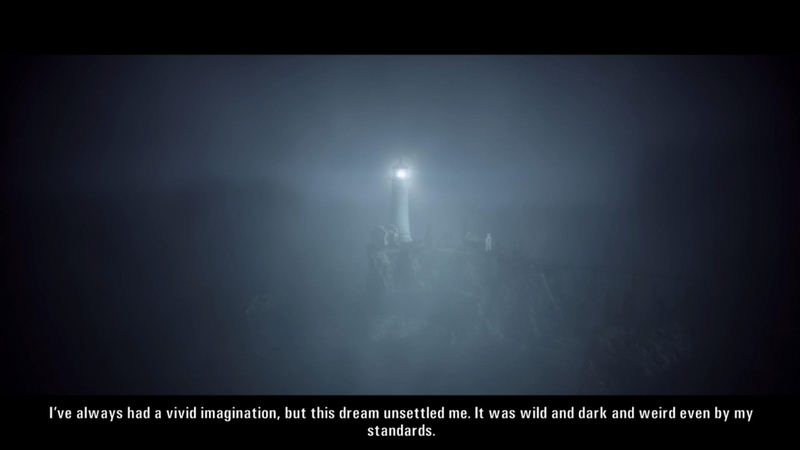 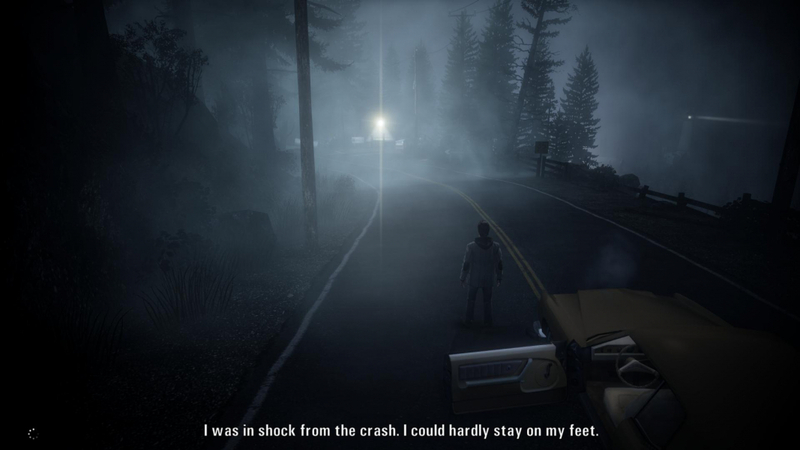 Alan Wake is a third-person shooter, described by its developers as a combination of "the mind of a psychological thriller", and "the body of a cinematic action game". 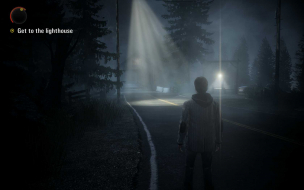 The game is primarily set in the fictional idyllic small town of Bright Falls, Washington. The main gameplay happens in various areas of Bright Falls – such as the forest, a national park, or a farm – during the nighttime; these are punctuated by calmer, non-combative sequences set during the day. 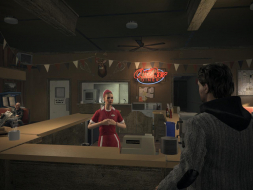 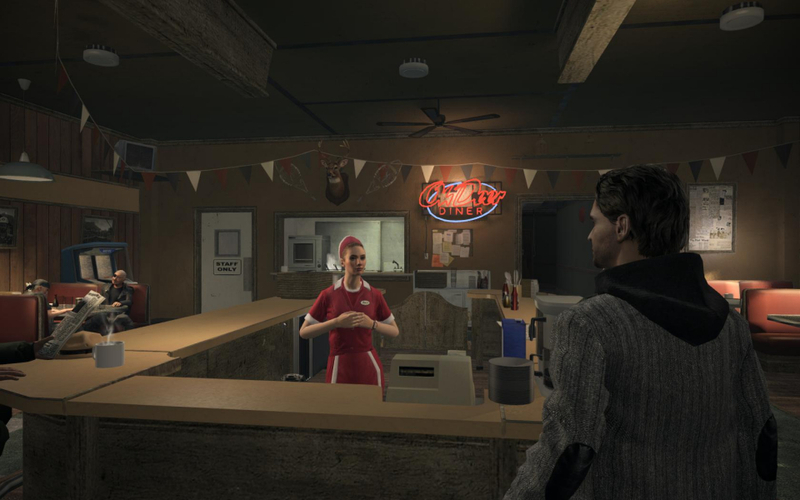 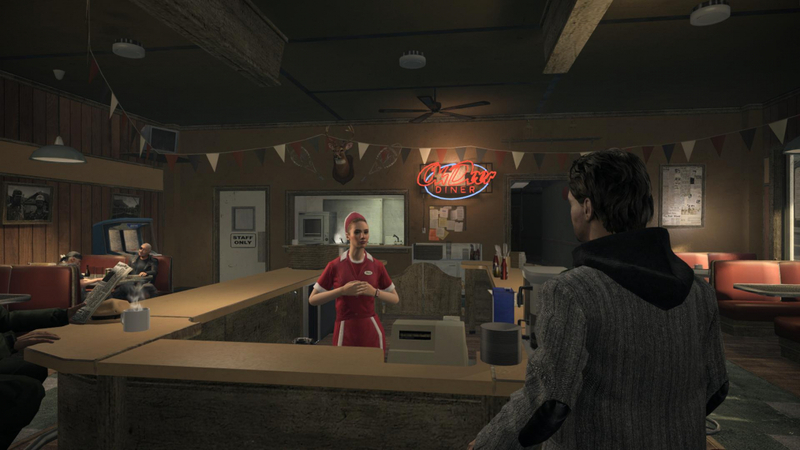 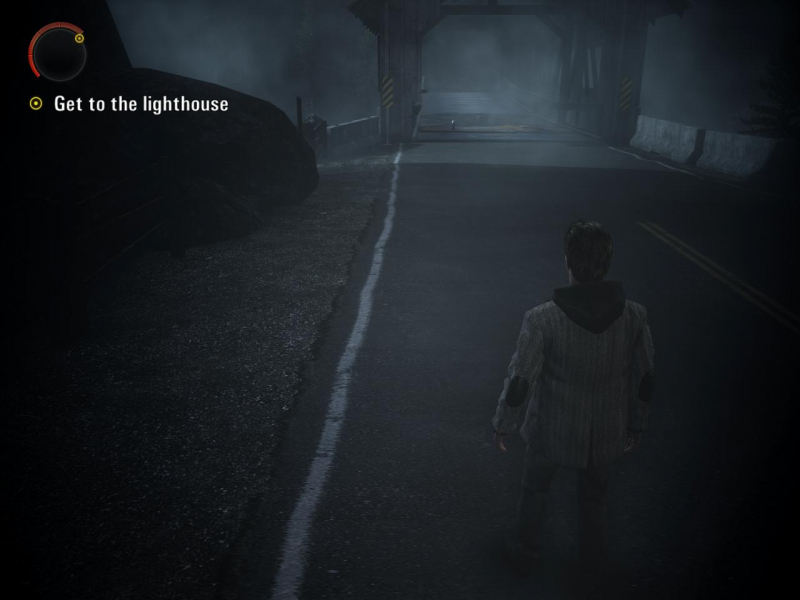 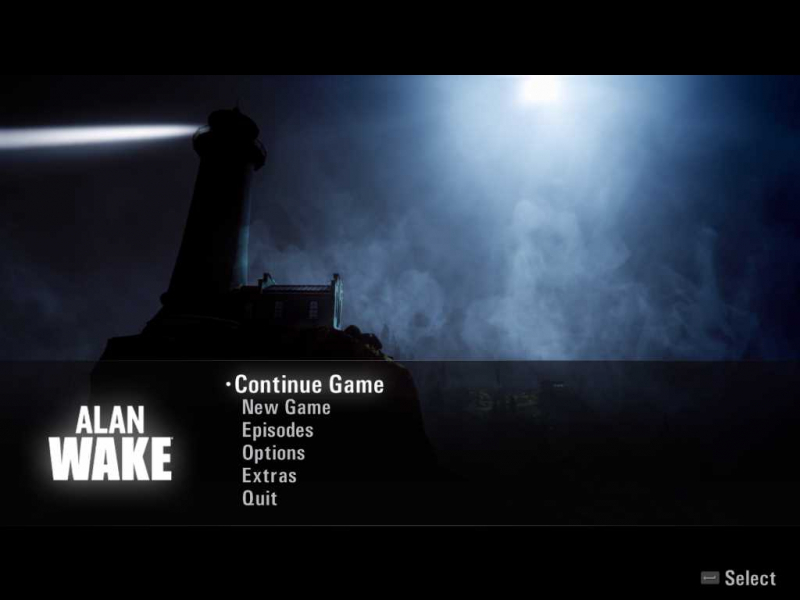 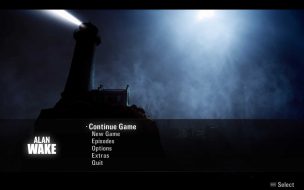 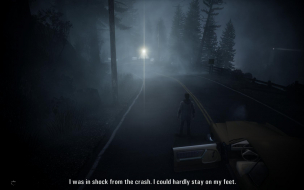 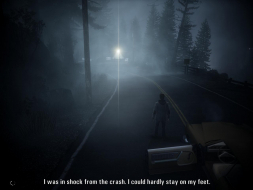 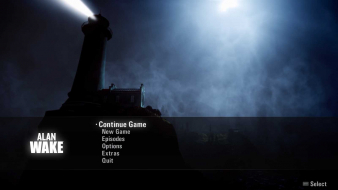 The player controls the epynomous protagonist, Alan Wake. 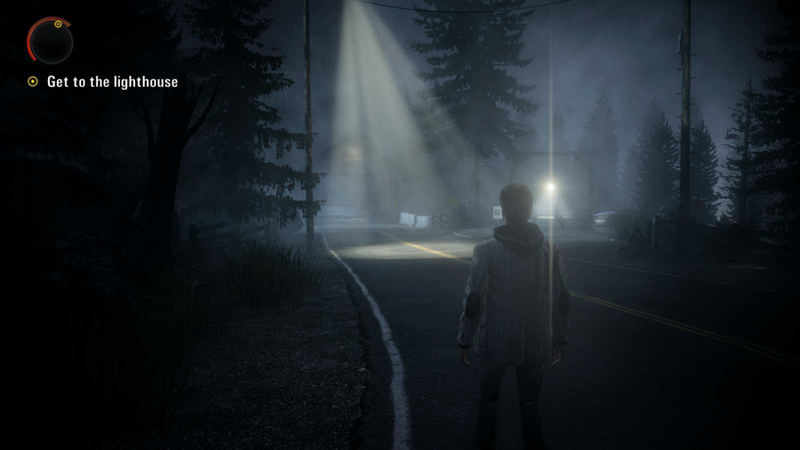 In the game, a "darkness" is taking over humans, animals and objects. 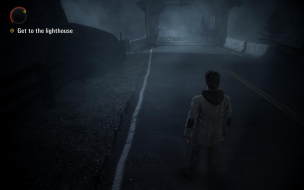 Humans possessed by the darkness, called the "Taken", are murderous enemies that attack Wake, wielding weapons of their own, such as mallets and chainsaws. They vary by speed, size, and the amount of damage they can take, and some can even teleport between short distances. 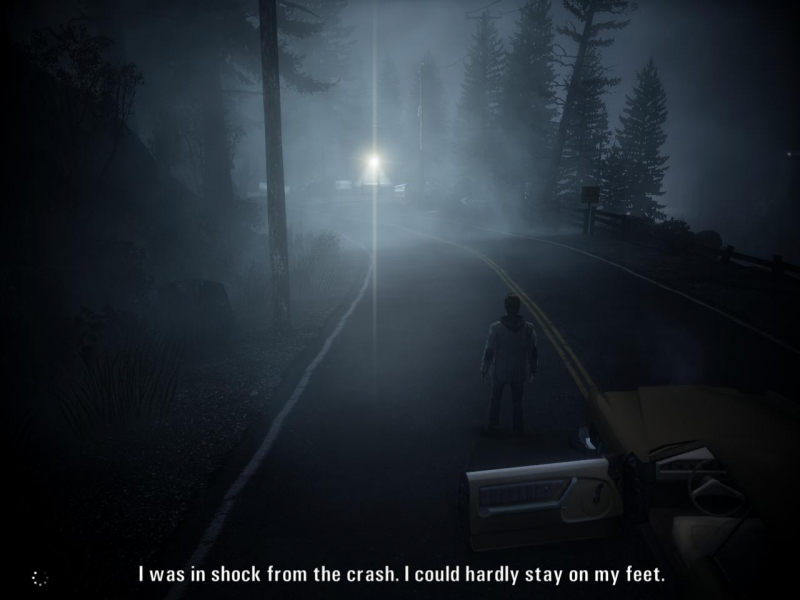 Besides the Taken, the player has to combat flocks of ravens, and animated poltergeist objects. 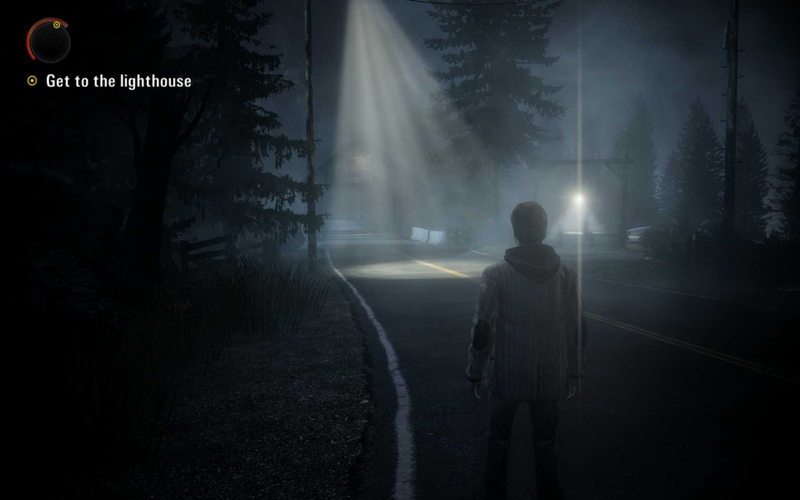 By default the game is vastly Hor+ with a slight Vert FOV loss. You can fix this by adjusting the FOV slider under Options, Controls. There are 20 notches and the default is 10. 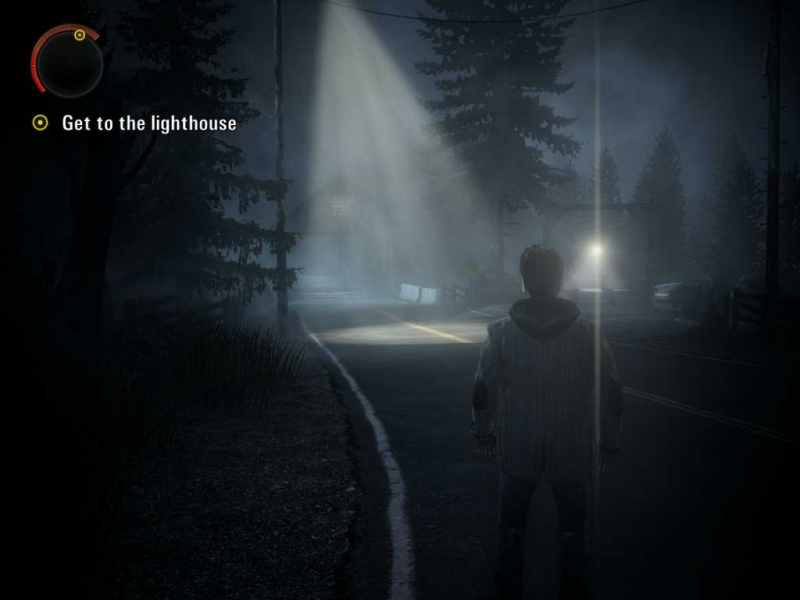 This setting affects both "action" and "story" gameplay sequences and real-time rendered cut-scenes. FOV 11 is good for all widescreen aspects (16:10, 16:9, 15:9). 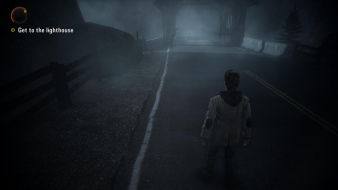 FOV 13 worked well for 21:9. 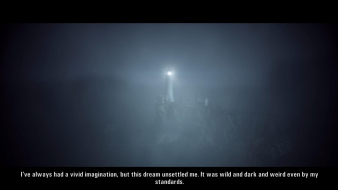 The width of the manuscript screen's page and text alignment change with the aspect ratio.